Moore Service Company, located in Beaumont, has been servicing the Golden Triangle for over 37 years. We supply quick and reliable service for commercial and residential needs. This includes all types of commercial refrigeration, kitchen equipment and ice machines. 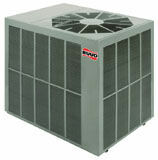 We are proud to be one of the few authorized dealers for Ruud Air Conditioning & Heating Equipment. For long-lasting, worry-free air conditioning & heating needs, rely on Ruud. Thank you for the 30 years of support. For fast, friendly service you can always rely on Ruud and Moore Service Company.